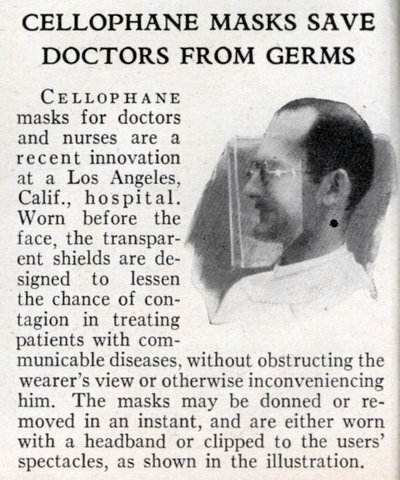 Cellophane masks for doctors and nurses are a recent innovation at a Los Angeles, Calif., hospital. Worn before the face, the transparent shields are designed to lessen the chance of contagion in treating patients with communicable diseases, without obstructing the wearer’s view or otherwise inconveniencing him. The masks may be donned or removed in an instant, and are either worn with a headband or clipped to the users’ spectacles, as shown in the illustration. Actually this isn’t a bad idea. They’re used in most hospitals now. 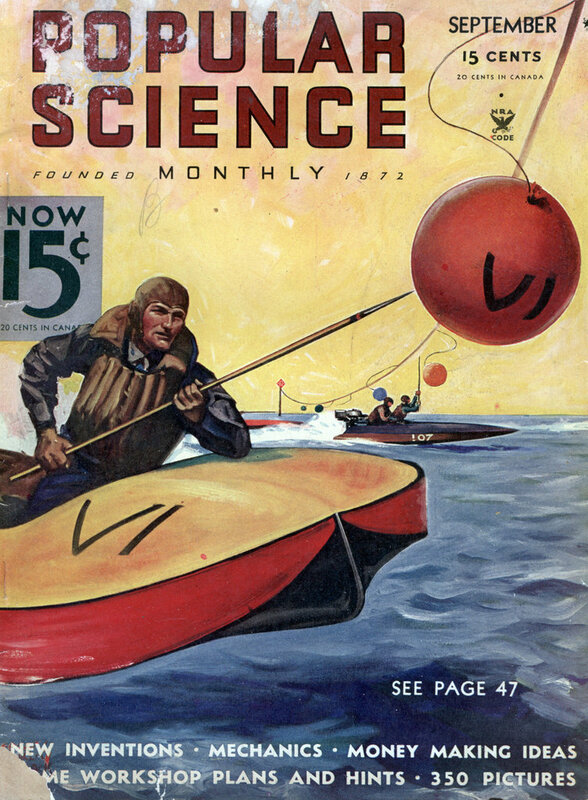 I didn’t realize that they’ve been around since the 1930s.